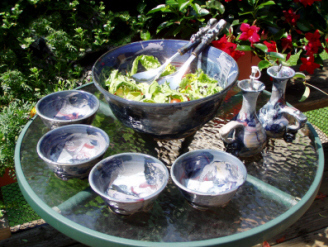 Serve salad in style in a Buie Bowl with accent pieces. 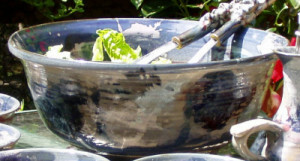 Bowls are made in a variety of sizes to fit your lifestyle. The cracker tray also makes a great caddy for the serving fork & spoon. Click on any image for more info, or to order.